so i went to my sisters this evening for some ‘what it means to be a godparent’ thing. we had to go to church to see the vicar and basically got a told the entire history of the christian religion. as a person who is not religious in the slightest it was a bit much, i felt a little out of place. anyways, i decided to throw on some wedges from asos. i really hurt my ankle about 5 weeks ago so wearing heels has become quite painful, these wedges are about as high as i can stand. 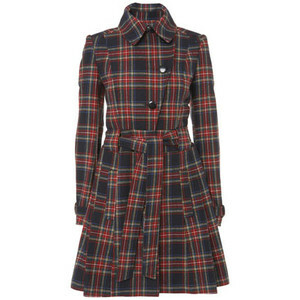 the coat is one of my favourites from warehouse, lovely fitted tartan.